After a year of development Capital One has finally released ‘Capital One API’ which makes deals, rewards and other customer data readily available to be used by developers. With over 60 million members, the credit card company is looking to find new ways on how their customers interact with their money. 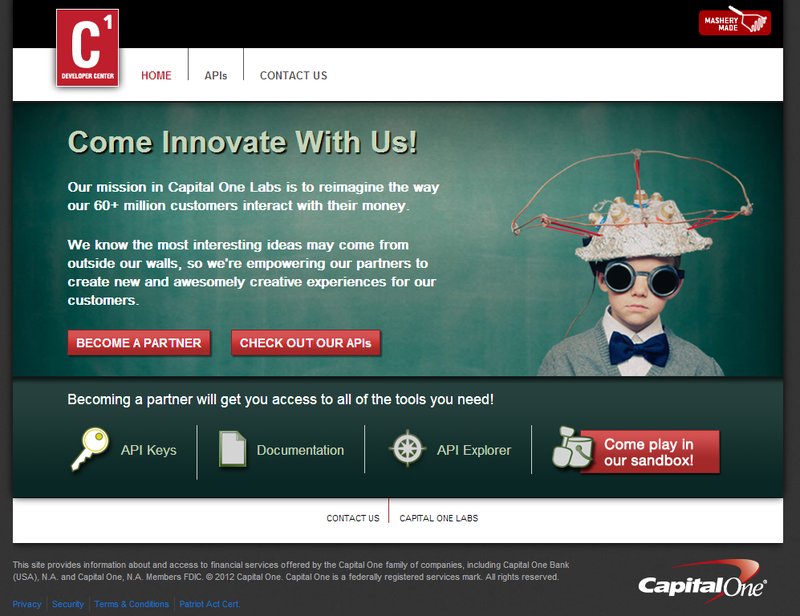 Innovation has been the recent trend in financial services and Capital One has pushed it to the next level with Capital One Labs and the development of their own APIs. According to Paul Sun of Capital One, the company won’t always be able to connect with their customers as they shop, but if other developers find a way then they are invited to be part of the project. Developers that use to the company’s API can offer and deliver personalized deals and coupons to customers – deals that the right customers are looking for. The company also makes rewards points available for purchases which allow the developers to have a ‘pay with points’ option on their own site or app to attract buyers. Capital One uses OAuth for securing customer data. This system gives other parties access to information like the customer’s rewards balance for 30 minutes. The APIs are still currently in beta and documentation is only available by request. As usual, the challenge for Capital One here is to successfully create an ecosystem of third-party developers willing to invest time and money building online and mobile apps which would tap into Capital One’s customer information. In your opinion, how successful can Capital One be with this API? How attractive could it honestly be for small companies and startups to take a risk and invest resources to build applications which might not be used? Do you think open innovation will ever become the norm in financial services? If it is the case, how valuable would it be to have a universal API shared by all banks and credit card companies? Is such a collaborative approach even realistic?